Regardless of the religion, belief, culture, or the country we come from, there’s one thing we all may have in common: a wish that the day of November 22nd, 1963 would never have ended the way it – with the assassination of president of the United States, John F. Kennedy. If we could get a chance to change the outcome of that day and the course of entire history, we would do that without a single hesitation. Stephen King’s highly acclaimed novel, 11/22/63 is the fictional story of how a school teacher embarks on the journey to prevent the President’s killing. Will he be able to end his mission successfully or not does not really matter, as it won’t change our reality. But what matters is the attempt and our belief that the world could have been better a place to live if the murder would not have occurred on that in ill-fated day. 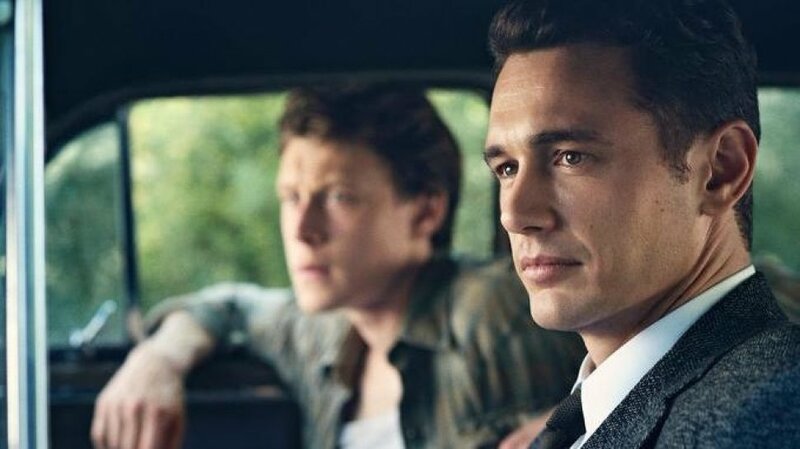 11/22/63 follows high-school teacher Jake Epping (James Franco), whose cancer ill friend, Al Tampleton (Chris Cooper) shows him the portal that can take anyone back in time to 1960, at precisely 11:58 a.m. However, the insane idea comes right after introduction of the time travel portal, where Al asks his friend to do something he was unable to accomplish – to prevent Kennedy’s assassination. Epping finds the idea impossible, however, because of his curiosity or understanding of importance of the mission, agrees, at least, to try. But before Epping enters the closet (the time portal), Al warns him that no matter how long he stays in the past – hours, days, weeks, or years – only two minutes elapse in 2016, the year when the event occurs. But soon, Epping’s mission is threatened by Lee Harvey Oswald falling in love with Sadie Dunhill (Sarah Gadon), and the past itself, which does not want to be changed and should not be changed. But that is the least of the problems for our hero, who is strongly determined to go as far as possible to change the past. As the story unfolds, Epping, who felt terribly bad for Harry’s family, whose story you hear in the beginning of the series, where his siblings and mother get killed by his father. However, when he saves his family from the awful fate, after getting back to 2016, he finds Harry being killed in Vietnam. This is when Jake realizes that no matter how hard he tries to change the past, it will in whichever way, will harm those who tried to escape the fate. So does it mean preventing the assassination of Kennedy is somewhat just a delay to something else is something yet to be told. Thanks to Bridget Carpenter, who developed King’s novel for television, the journey you will find yourself in is something that will intrigue you throughout, and won’t let you ago until it ends…. In conclusion, 11.22.63 is the series I’ve been waiting for since the day I read King’s novel. If you had a chance to read it, then you will know how well and flawlessly it’s being adapted for TV. It’s written intelligently, has excellent directing, and has a performance that makes us believe in everything that happens in this series. In the end, it’s worthwhile watching this series. It has its well arranged flow, where you certainly will feel being part of it. So, give it a chance; you won’t regret it.